In order for Market to resume its bull run, SPX must successfully test its Primary Up Trend Line and then solidly close above the upper channel line of Down Trending Price Channel. There is a good chance we see that happening tomorrow. 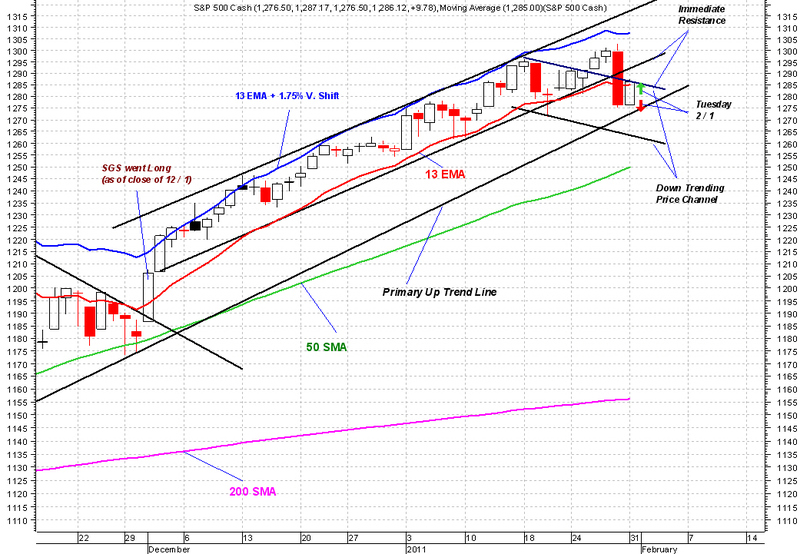 There is also the probability of close below Primary Up Trend Line which would be very bearish. It's 50/50.